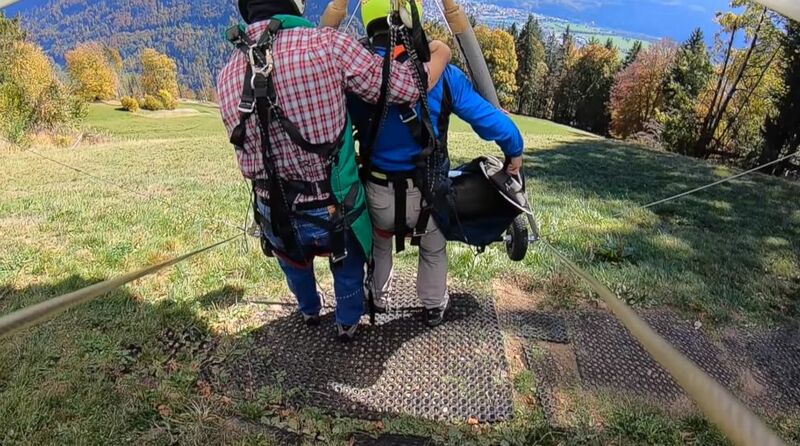 A hang-gliding instructor failed to properly attach a harness to the glider. 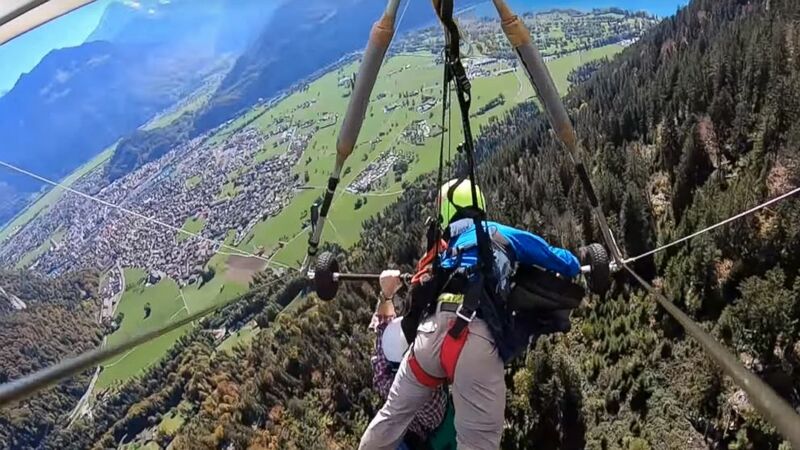 An American tourist in Switzerland was forced to hang on for his life when his instructor didn't properly attach his harness just before they went hang-gliding. Chris Gursky, who lives in Florida, posted a video of the ordeal on YouTube Monday, and it has garnered more than a million views in just one day. 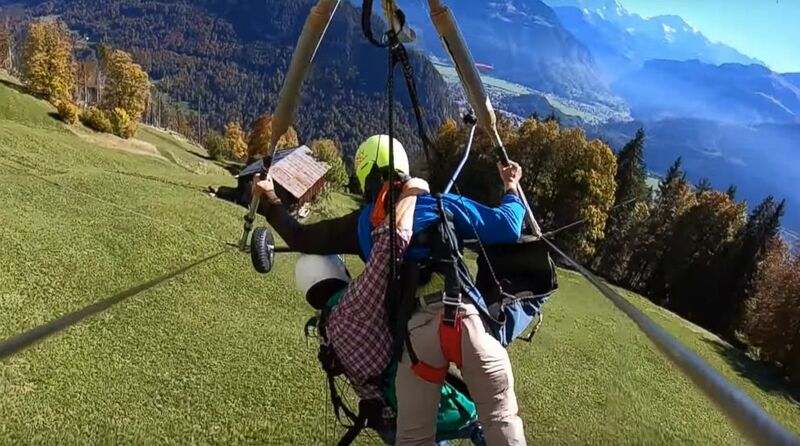 (ViralHog) Chris Gursky shared a video of his first time hang gliding in Switzerland after the pilot forgot to connect him to the harness. When Gursky and his instructor took flight, they quickly realized something was wrong. “I was just trying to stay calm, just trying to hold on for dear life,” Gursky told "Good Morning America." The video shows Gursky trying to hold on to the glider and his instructor as they go higher and higher. At some point, the instructor puts his hand on Gursky’s hand to try and keep him from falling. Fortunately, the pilot was eventually able to land. “By the time we hit the ground, or I hit the ground, I would say we were going about 45 miles an hour,” Gursky said. Gursky said his wrist was broken from the abrupt landing and he had to have a surgery. He also tore his bicep muscle. Despite the ordeal, Gursky's not done with hang-gliding, and will try it again. “The landing was a rough one, but I lived to tell the story,” Gursky wrote.